When bending starts to take the pleasure out of gardening it's time for short cuts. 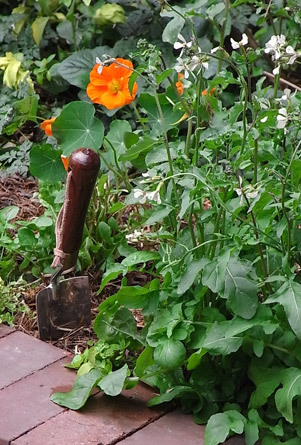 No-dig gardening - as a forerunner to permaculture - is usually greenie territory. But for others, its allure is new planting beds without digging up lawns or concrete that are also elevated as relief for aching knees and backs. 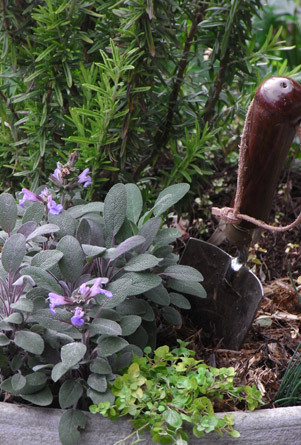 The effort required to set up a no-dig garden shouldn't be under-estimated. A lot of newspaper and organic matter needs to be obtained or accumulated and distributed. Building a retaining frame - perhaps of sleepers or bricks - is not light work. The method then involves building up layers of organic materials that compost down into a rich, worm-attracting, moisture-retentive soil that never needs cultivation. Concrete is first covered with a 10cm layer of thicker branches for drainage. For turf or vigorous weeds, slash first and water in a sprinkling of blood and bone. Next cover with wet cardboard sheets or a similar thickness of uncoloured newspaper - about six pages. Overlap all edges by 15cm to seal off light to unwanted vegetation below. Add a 10-20cm layer of dry organic matter like hay, straw or fallen leaves, followed by a 5cm green layer of compost or manure from vegetarian animals. Alternate these layers - watering each one - until reaching the desired height. Finish with the dry matter as the top, mulch layer. The nature of organic material is to break down, settling to about half its height after a few months. You might want to top up again before starting. Aim for an over-all finished depth of 30cm. A broad-edged frame at about 45cm high can also make for a comfortable place to sit. Continue topping up with compost at least once a year. Plant your favourites but save root vegetables and legumes till after the first year of decomposition.